Native Traditions in the Americas and North American Religions Units. Standing Together at Standing Rock: Cross-Cultural Perspectives and Critiques: The #NoDAPL campaign at Standing Rock drew thousands of protesters representing tribal nations in the United States, indigenous peoples from around the world, as well as diverse religious groups and nonindegenous peoples. The protesters were drawn by a common cause but participated in ways that both created unity and dissension. The papers address these distinctions ranging from interrogating Standing Rock as a social or protest movement to address these distinctions ranging for interrogating Standing Rock as a social protest movement to examining the occupation as a milestone moment in modern inter-religious dialogue. Papers give consideration to the complexities of the movement while drawing on indigenous cosmological understandings and global interests in human-earth relationships. « Margaret McMurtrey – Standing Rock: Movement or Spiritual Call? Confrontations Concerning Space- and Place-based Rhetoric. 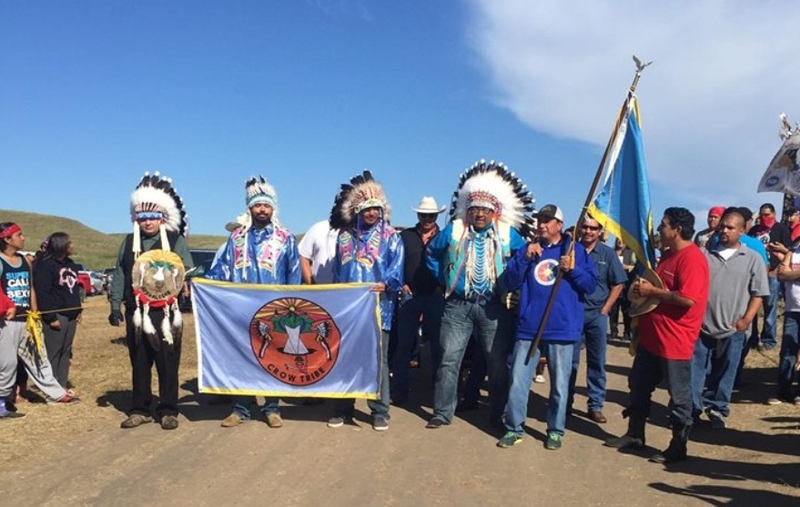 Standing Rock: social movement or spiritual call? To the non-native observer, it is a movement: a call to action on behalf of the environment and the people of Standing Rock. For most Native and indigenous people, it calls forth a complex and nuanced relationship with the land. This paper examines the current and historical legacies of native and non-native alliances around social and spiritual “movements” that help to interrogate Native and non-native responses to Standing Rock. Native people are demanding that the “meaning” of Standing Rock be explained within a rhetorical context of space and place. The challenge: how can the language of ”social movement” be illumined within the rhetoric of space– and place-based religiosity? Can space- and place-based rhetoric be articulated to explain the nuances of Standing Rock from a Native and indigenous perspective while facilitating the understandings of and promoting the formation of large-scale community alliances? 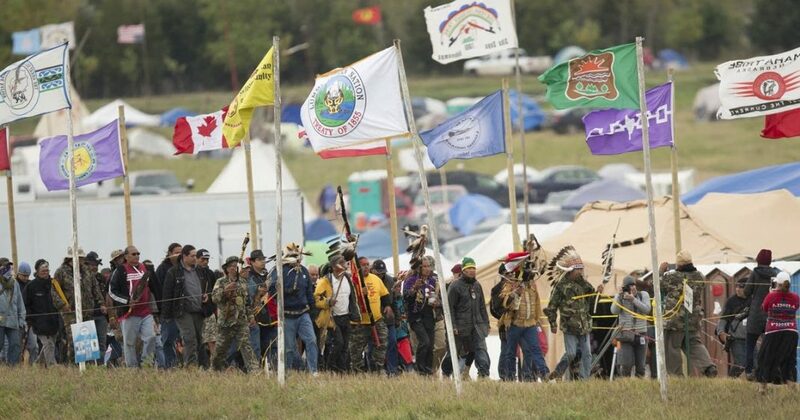 « Peter Huff – Parliament of Religions on the Prairie: Standing Rock as Interreligious Event. The 2016-17 Standing Rock phenomenon constitutes a turning point in the history of modern interreligious dialogue. Oceti Sakowin and related encampments represent not only the greatest Native American tribal gathering since the nineteenth century but the most extraordinary open-air interfaith “camp meeting” in U.S. history. Representatives from Buddhist, Hindu, Jewish Muslim, Sikh, Unitarian Universalist, Wiccan, Protestant, Catholic, and Quaker traditions assembled with Native American spiritual leaders and international indigenous leaders, forming not only a spontaneous parliament of religions on the prairie but the first mass modern interfaith event informed by indigenous values and practices. Based on first-person participant observation and interviews with local actors, the paper traces the development of the Standing Rock interreligious experience from the spring of 2016 to the February 2017 camp evictions. 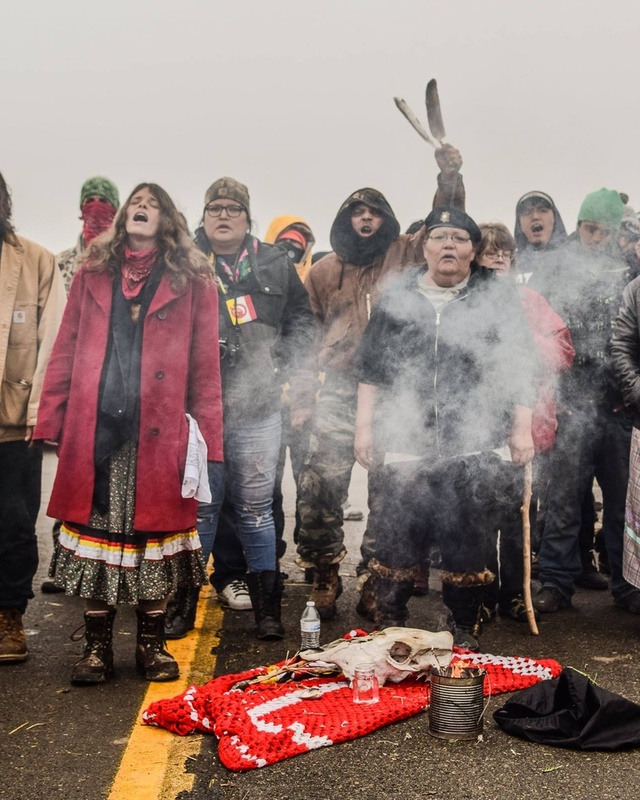 Drawing upon the critical literature on the history of modern interreligious dialogue, the paper identifies Standing Rock as a milestone in global interreligious dialogue. I came into this session after it had commenced; however, I think I experienced more than 90% of it. Again, my post-stroke note-taking leaves much to be desired. In our prophecy, the White Buffalo Calf Woman told us she would return and stand upon the earth when we are having a hard time. In 1994, this began to happen with the birth of the white buffalo. Not only their nation, but many animal nations began to show their sacred color, which is white. Those gathered in protest performed and/or participated in an “Esseron” interfaith ritual. This turned out to be a much bigger deal than the organizers expected. Karen Van Fossen, a minister at Bismarck-Mandan UU Congregation in North Dakota, and Father John Floberg of the Standing Rock Episcopal Churches, who were among the conveners, issued a notice to the interfaith communities, resulting in more than 500 clergy-people and/or representatives from religious communities coming, as opposed to the dozen they were expecting. Some readers may be aware that Andras Corban Arthen and Patrick McCollum, both prominent Pagan interfaith activists, were present, as were Cornel West and others from around the country and beyond. The ceremony was one of joyful community and rising concern. They burned the Doctrine of Discovery, then celebrated the easement with fireworks. Among the participants were some teachers of interfaith for reconciliation from Belgium, as well as Veterans for Peace. Unfortunately some leaders of this gathering were targeted with hate mail. There was little access to the Internet, there being only one place on a certain hill for Internet access. « Lily Oster – Decolonizing Earth-based Spiritualities: Negotiating Earth-awakening without Appropriation. This paper explores the ethical complexity of white engagement with earth-based spiritual traditions, addressing patterns of cultural appropriation of indigenous traditions while also recognizing the potential benefit of more widespread human orientation toward the earth as sacred. In a moment when humanity urgently needs to cultivate ecological consciousness, many indigenous traditions contain teachings of planetary connectedness and worldviews that undermine extractivist framings of human-earth relationship. However – as was recently highlighted by the migration of many white visitors to the pipeline resistance camps on Standing Rock Sioux land – indigenous traditions are not necessarily open to converts, and white seekers are not necessarily attuned to the protocols of non-appropriation. This paper makes a case study of white encounter with native religion at Standing Rock, considering the decolonial possibilities and pitfalls of Eurowestern spiritual engagement with traditions, practices, and philosophies grounded in the sacredness of the earth. Many Native activists have made it clear that they want no white leaders. Nor are non-natives able to participate in the Sun Dance. I understand this exclusion of non-natives in an eco-cultural context. However, with the growth in numbers of people practicing one or another Pagan spirituality with their commonly (not universally) espoused emphasis on the holiness of Nature and our interdependence, and considering that Neo-Pagans are mostly white and urban, I wonder where we can respectfully fit in. As an urban white, associated with colonization and appropriation, I can certainly appreciate Natives’ insistence on exclusion of non-natives. Nonetheless, in broader interfaith activities I, as an ecologically concerned Pagan Witch, think that our “greenness” is an asset and can inform others who hold a more “dominionist” (the attitude, not the Christian right) perspectives on the world, its assets, and its inhabitants. I wish to contribute to the fortification of everyone’s efforts to address climate change, regardless of religion or ethnicity or any other difference. 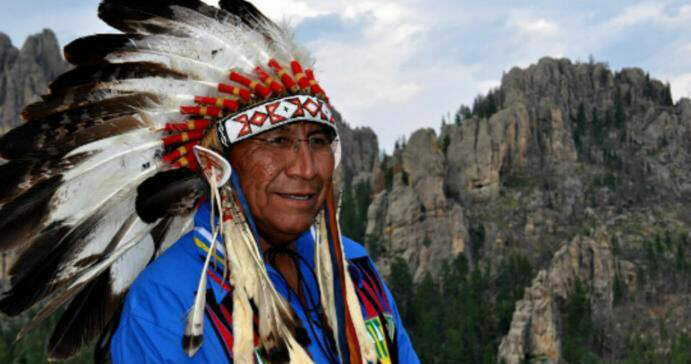 The basic underlying tenet of these Native people is that everyone looks out for each other. That’s behavior I try to cultivate and that I wish were more common among non-Natives. « David Walsh – Ceremony in Historical Perspective at Standing Rock. The #NoDAPL movement and the protests at Standing Rock have attracted media attention for the direct action with police. However, this focus has obscured the historical context of protest through ceremony. In this presentation, I discuss cosmological understandings of the indigenous participants. Their actions such as individual ceremonies, the camps as ceremony, and direct action with police as ceremony, suggest that the #NoDAPL movement is primarily a spiritual ecology movement. To properly understand this movement, then, it must be put into historical context with other spiritual movements of resistance, such as the Ghost Dance movement and Idle No More. Only then can we understand how water protectors are protecting the source of life, water, from the forces of destruction, the black snake, as they continue their cosmological battle to cut off the head of the snake before it spills its poisonous venom – oil across the land. Mr. Walsh claims that the protests against the proposed Dakota Access Pipeline at Standing Rock are pan-indigenous spiritual movements of resistance. One practice is to bring water to pour into the river. He likened this to a “mini Mokami,” which is a reference either to (1) a river trail in present-day Labrador used by the three indigenous peoples of that land: the Innu (Innu Nation), the Inuit (Nunatsiavut), and the NunatuKavut (Southern Inuit); (2) a place in central Missouri; or (3) a place in Santa Clara County in California. The phrase he credited to “mini Mokami” is “Water Is Life.” Regardless of the source, this statement applies universally. This mixture of waters is similar to a ritual honoring the Waters of the World that is widely practiced in the interfaith movement, both national and international. Participants from many places bring water from a spring, creek, lake, river, or ocean near where they live to ritually comingle with the waters brought from far and wide. I’ve been told that this rite of mingling waters of the world (not pouring them into a river) began as a UU practice. In any case, the practice has been taken up within the Pagan movement, where it is not uncommon. Nonetheless, It is important to remember that indigenous rituals, whether environmental or otherwise, are focused on the local rather than the universal, even when they have been displaced. Mandans hold wisdom of the sky is covered and erased by dams. The Native peoples at DAPL liken oil to the “black snake that destroys the land.” That is an image I can easily envision. Protests opposing extraction from tar sands in Alberta began in 1967, and amped up in the 2000s. One of the activities mentioned concerned approaching and standing upon a sacred mountain on the DAPL encampment. Humans who seek to go there must put cedar bark in their shoes as a sign of humility and respect for the sacredness of this mountain. Beyond respecting this practice, I think such practices can be consciousness raisers for non-indigenous people. Created by people of Canada’s sovereign First Nations, Idle No More soon grew into one of the largest Indigenous mass movements in Canadian history. “Idle No More calls on all people to join in a peaceful revolution, to honour Indigenous sovereignty, and to protect the land and water.” INM began demonstrations in 2012 to resist extraction and assimiliation. In addition to the Ghost Dance in South Dakota and actions at Wounded Knee, Native Americans and First Nations people have conducted Round Dances at shopping malls. They hold Sitting Bull as an honored ancestor. By Mother Nature, Mother Earth and other names, I join all peoples in respecting, preserving, conserving, and celebrating Earth, our beautiful and sacred home. See Keepers of the Sacred Tradition of Pipemakers. Don’t be fooled by the English names. The word I heard as esseron, thought it may have been asseron. In any case, I don’t know its meaning and have been unable to find any useful information about it. 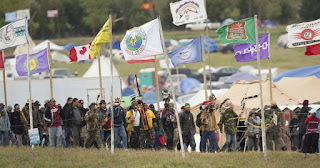 The Covenant of the Goddess issued a Resolution To Repudiate the Doctrine of Discovery, and Implement the UN Declaration on the Rights of Indigenous Peoples in 2012.